Halloween is just around the corner. 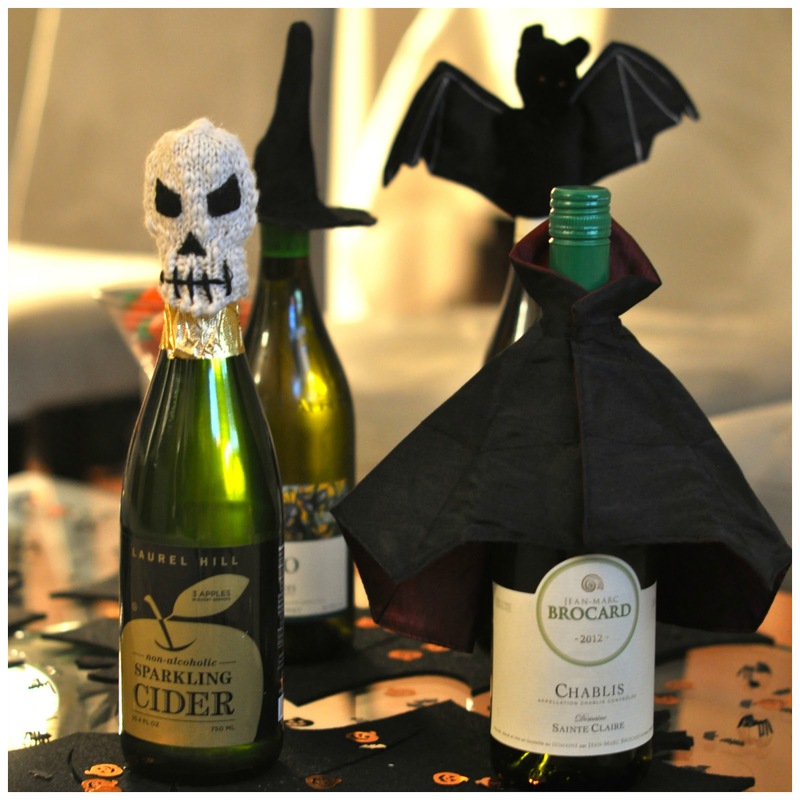 This week, we are sharing tips to host a SPOOKTACULAR dinner party. A dinner party is an excellent way to get into the spirit of Halloween while still maintaining an air of elegance. 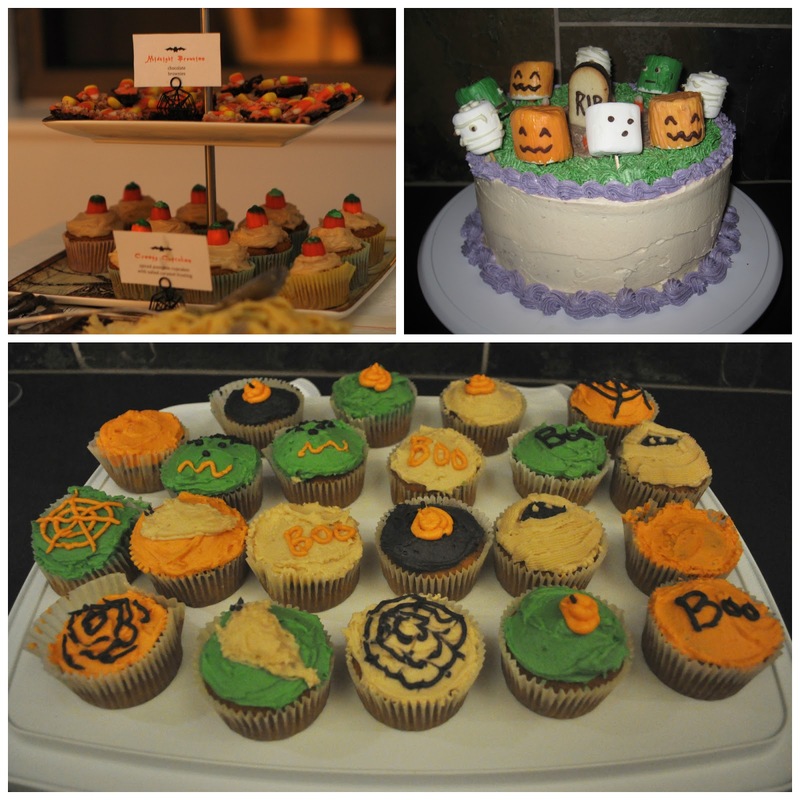 Follow these tips to host a memorable night full of SCARY and DELICIOUS fun. Focus most of your decorating efforts on the dinner table. Decide if you want a buffet or a seated dinner. Each of the above themes will give you plenty of inspiration. Don’t be afraid to just stick to a broad Halloween theme as bright orange will pop beautifully against black and white decor. Design spooky table settings with your dinnerware, napkins, placemats and place card holders. 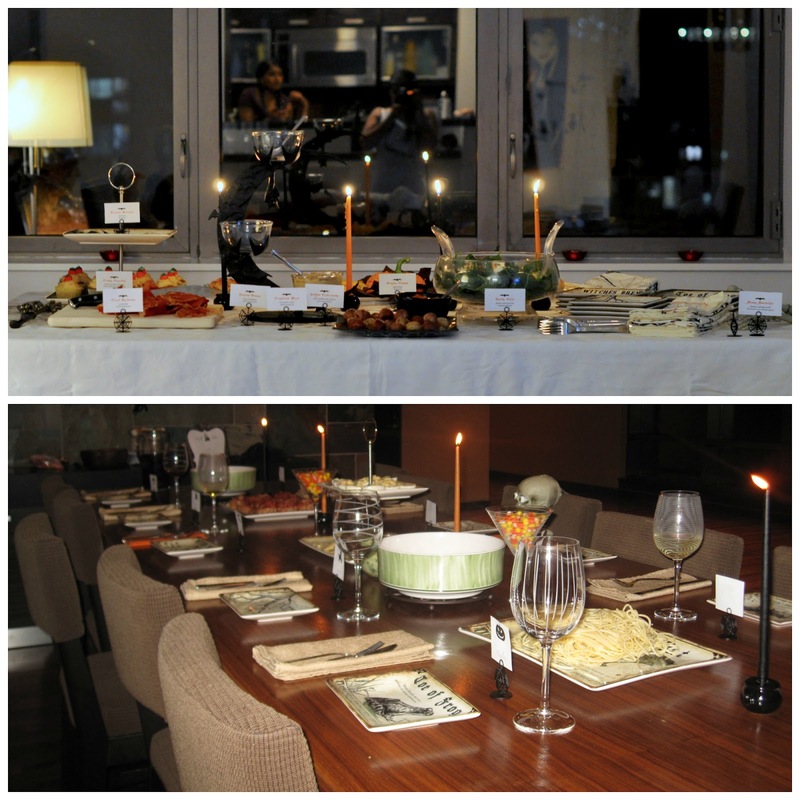 If you have black dinnerware, a Halloween dinner party is the perfect time to showcase it. 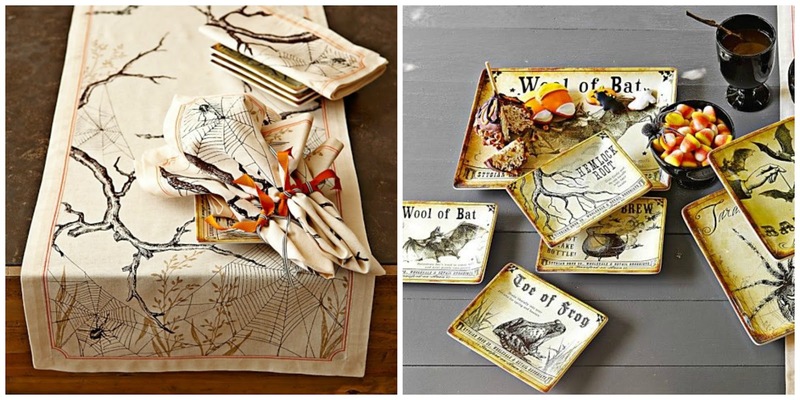 Pottery Barn and Williams Sonoma seasonally feature Halloween inspired dinnerware, napkins, place card holders, serving dishes and silverware. 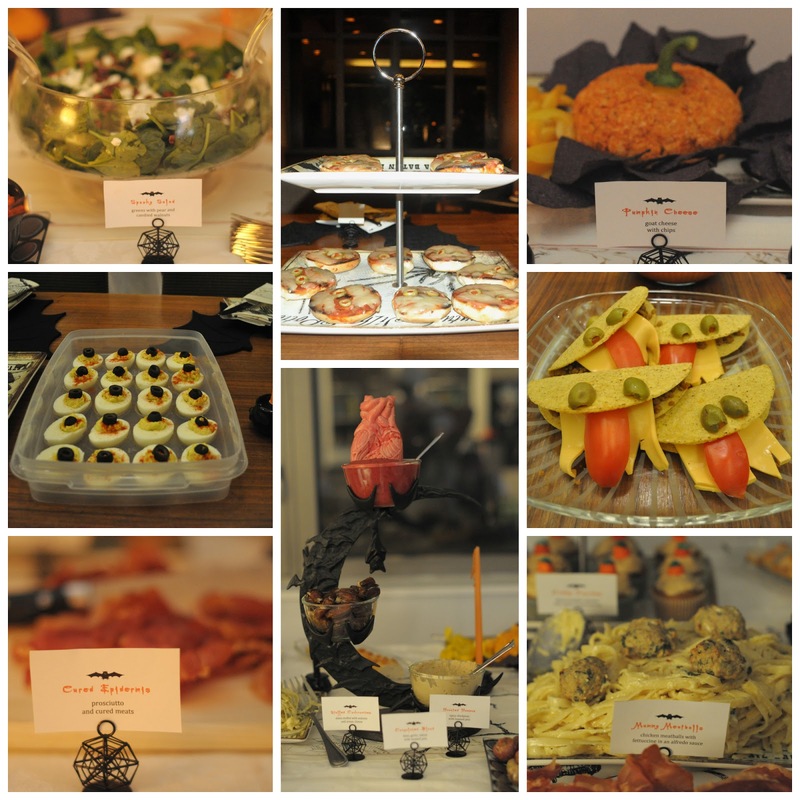 Whet your guests’ appetites with an AMAZING menu featuring Horror D’oeuvres, Erie Entrees and Devilish Desserts. Give each menu item a Halloween inspired name: deviled eggs, pumpkin cheese ball, mummy pizzas, cured epidermis, grape leaf fingers, monster tacos and mummy meatballs with fettuccine. Dips are easy to make, consider adding coagulated blood with a beating heart (beet dip), bloody tomato salsa and ghoul-a-mole to your buffet. Use MustHaveMenus to display your spooky menu. The site has a wide selection of free Halloween themed menus. For the brownie lover, use your favorite brownie recipe and top with candy corn to add a Halloween touch. Use Halloween themed cookie cutters to make scary cookies. Frost and decorate the cookies with edible embellishments, such as colored sugar, licorice and sprinkles. For many adults, candy is the most anticipated part of Halloween. So stock up on candy corn, caramel apples, and black and orange treats. Follow these tips to ensure your party is a scream! Previous Post You Obviously Love Oreos! Next Post Boo-tiful Cookies and Brownies!